J. Leon Pridgen, II. Hidden Secrets, Hidden Lives. New York: Strebor Books, 2011. Travis Moore has been able to move beyond his troubled past. As a high school student named Perry he became a drug runner, in part to keep his mother off the streets. His partner in crime was his good friend Kwame “Bone” Brown. But while Perry kept his grades up and his street profile low, Bone wanted respect on the streets, dressing flashy and pushing the limits. Bone’s behavior eventually landed him in a juvenile detention facility. As agreed, Bone did not give up Perry and in return Perry left Bone their remaining drug stash and all their cash. As the years go by, Bone comes to believe that he got the raw end of the deal, and he plots revenge against Perry, now a college graduate, married man, and a financial professional for a large home improvement chain. The crafty Bone uses his drugs and cash to lure old friends and a young boy that Travis has been mentoring into the plot against Perry/Travis. 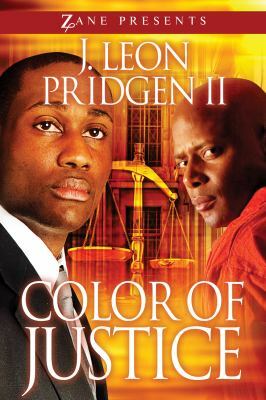 Author Pridgen gives us a chilling look at how the desire for revenge can warp a person and how in tense moments each of us acts in our own self-interest.